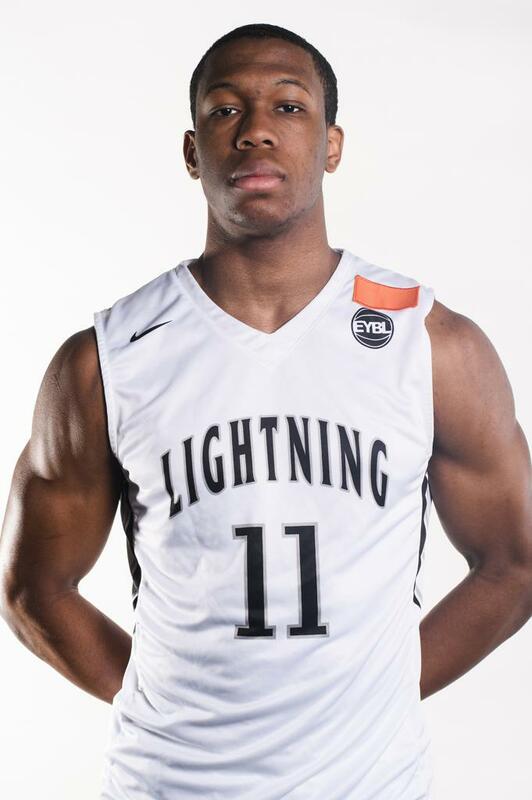 Dingle, the son of NY Lightning Director Dana Dingle, is rapidly rising up the ranks, and we discussed a variety of topics before he's set to compete in next week's Peach Jam. Nate Bucsko: What was the biggest difference between last season and this season on the circuit that led to the success? Jordan Dingle: The makeup of the team this year is different than last years team. This year we tried to focus on being tougher than our opposition since we're smaller than last year, especially on defense, we take a lot of pride on that end. NB: How has your role changed from last year to this year and how did you prepare differently? JD: Similar to last year I've been the best 3 point shooter on the team but I'm playing much more this year because our play style is different and my game fits it. Also I've proven to be one of the better shooters on the circuit. I credit that to getting up early and using the gun before classes during the school year and making small changes to my shot motion like not bringing the ball down for example . NB What was your favorite game from the regular season and why? JD: The game against UPlay Canada was my favorite because it really showed what we stand for. Our toughness kept us in the game despite being down early and our talent allowed us to seal the deal in the OT victory against a solid team. NB: Any players you’re hoping to match up with at Peach Jam? JD: Nope, solely worried about making history and being the first New York lightning team to win Peach Jam. NB: What will it take for you guys to do that? Anything different? JD: As long as we play the right way and don't beat ourselves we will be in really good shape. NB: Who’s your favorite current player to watch/study? JD: Damian Lillard as far as offensive scoring skill set. I also watch a lot of Rondo, Steve Nash and Chris Paul to see how they set up their teammates. NB: How has recruitment been going? What are you looking for in a program at the next level? JD: It's been going well as of late, only expecting it to get better after the second live period. I'm just looking for the program where I fit the best, not necessarily looking for a big school name or conference. The most important thing to me of course is going to a school with a winning culture. And a very close second would be being able to contribute and be an impact player as soon as possible, preferably right away as a freshman.